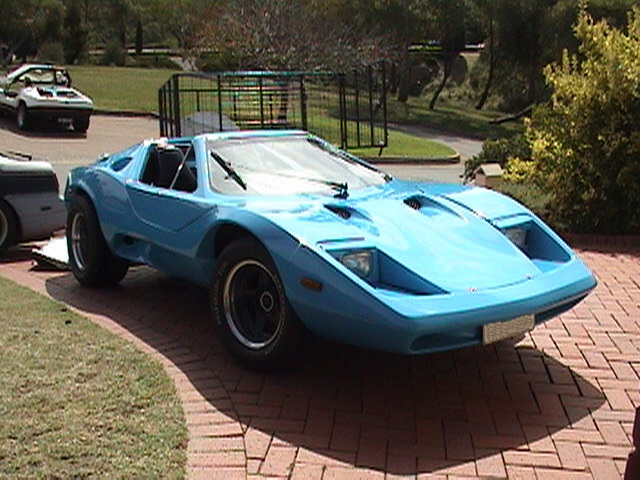 The Eureka PL30 incorporated a number of significant Purvis improvements over the Sports/Nova model and was introduced at the 1976 Sydney International Motor Show. In keeping with Allan’s Eureka theme, the name PL30 symbolizes Peter Lalor, leader of the Eureka rebellion, and the 30 miners and soldiers that died. The most significant change in the PL30 was to the roof line. The slope of the windscreen was reduced by around 14 degrees, the windscreen shortened by about 2 inches and the roof shape changed accordingly. This increased interior head room by 2.5 inches, and improved interior comfort considerably. Furthermore, the PL30 was now available with an “electro-hydraulic” automatic opening Door/roof/hatch/Canopy (not decided on what to call it as such), which opened or closed “at the flick of a switch”. Other features of the PL30 included a new smooth bonnet without the “nostrils”, and a new rear under-sill with larger tail lights (commonly seen on truck rear ends), and a narrow bumper bar. Interior wise, the dashboard was rearranged to hold more gauges, and the passenger side of the dash flattened out. The centre console was also remodeled. Carpets were fitted to the sides as well as the floor to improve noise levels and general passenger comfort. SAAS seats were cloth upholstered, and a new SAAS deep-dish (4") padded sports steering wheel fitted.